These are some very old family photographs, the ones from my fathers side of the family I have had for some years, but I have only recently received the ones from my mothers side of the family.I would also like to share this with you...the fact that prior to receiving these photgraphs of my maternal Great Grandfather and Grandparents from my cousin John I had never seen them before, as they had all passed away before I was born. So as you can imagine receiving these and setting my eyes on them for the first time was quite an experience. I am also attempting to trace my Family Tree, which I'm doing for a couple of reasons. The main reason is to give Andrew and Lisa some idea of their family roots in Britain. The other reason is to satisfy my own curiosity. So take a look at these old Family photos and I hope you enjoy them. This is the oldest of the photographs, it was taken in 1915. 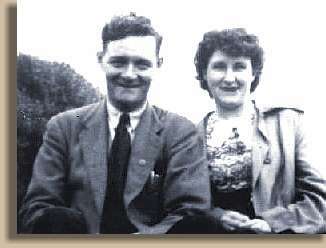 In the picture is my Grandmother and Grandfather Corr. 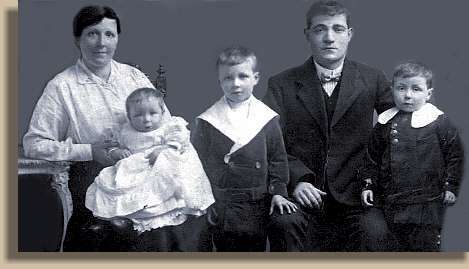 The children in the picture are (from left to right) my Uncle Ernest, my Father and my Uncle George. 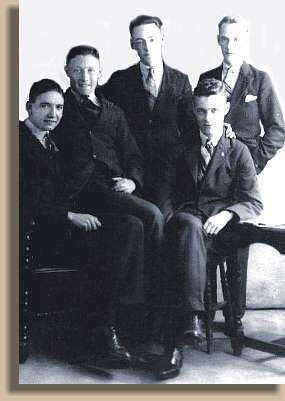 This photograph of the Corr brothers was taken in 1930, the first three from the left are my Uncles Stanley, George and Ernest, the fourth from the left is my father The one on the right is apparently one of their mates. 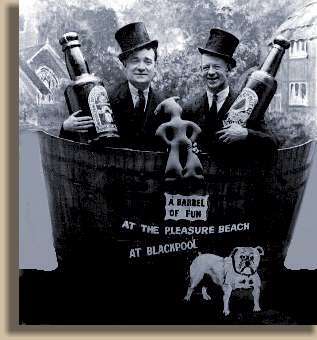 This was taken in 1932 down on the Pleasure beach in Blackpool. The bloke on the left is my Grandfather Corr and the one on the right is a mate of his. This was taken in the early 60's and it's my mother and father, on a day out while I was being babysat. This photograph was taken in approximately 1930 This is a photograph of my Great Grandfather Gibson on my mothers side of the family. 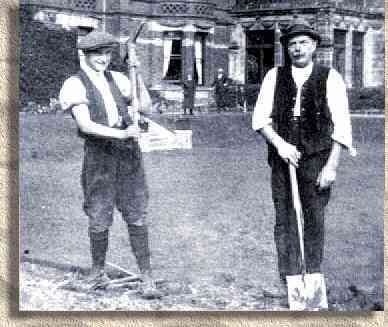 This photograph was taken with one of his Grandsons, working in the grounds of a place called 'Henshall Hall' located near Congleton, Cheshire. This was the home of a family called 'Johnson' who apparently made pottery. 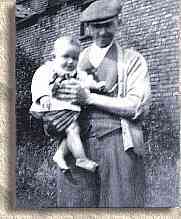 This is a photograph of my Grandfather John Gibson with my cousin John in his arms. The date this was taken is 1943. 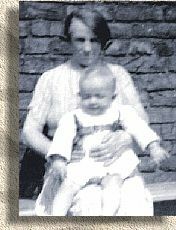 This is a photograph of my Grandmother Annie Gibson (nee-Harrison)seen here also with my cousin John in her arms. The date this was taken is 1943.